The Hokkaido Smile Station is a group of private companies working together to promote products, events, places and other interesting finds in Hokkaido towards other parts of Japan and the rest of the world. Target: All companies in Hokkaido interested in promoting the HOKKAIDO brand. Hokkaido Ramen Santouka restaurant direct operation. We are expanding our restaurant business through company stores in Japan and abroad. 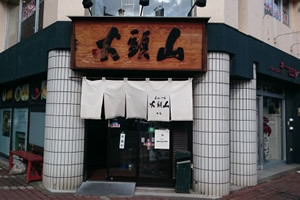 Hokkaido Ramen Santouka franchise business. We are expanding our restaurant businesses through franchises in Japan and abroad. New brand-based restaurant business. We are expanding such brands as Sapporo Ramen Ezofukuro and Tsukemen Takejiro. Special events business. We put on special events for the Hokkaido Ramen Santouka brand at department stores and other locations in Japan and abroad. Product development business. In addition to developing our own brand products and new menu items, we develop product collaborations with outside companies. Opened on November 2014. and is one of the branches of the Nikka Bar in Susukino, Sapporo. Intensive Hokkaido ingredients, stylish tavern in a renovated house is located in Sukhumvit. Fat delicious Hokke and Sayori of cooked rice, sweet shrimp, such as a button in addition to the fresh seafood, sake is also a large number available. In addition to the Japanese, there is also a Western food such as cheese pasta, banquet in the group, of course, families are also recommended. 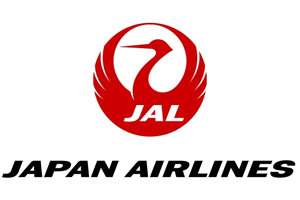 Japan Airlines (JAL) was founded in 1951 and became the first international airline in Japan. A member of the oneworld® alliance, the airline now reaches more than 305 airports in 51 countries and regions together with its codeshare partners with a modern fleet of more than 220 aircraft. JAL Mileage Bank (JMB), the airline's loyalty program, has reached over 29 million members worldwide. Awarded the most punctual major international airlines in 2009, 2010, 2012, 2013 and 2015, JAL is committed to providing customers with the highest levels of flight safety and supreme quality in every aspect of its service, and aims to become the most preferred airline in the world. 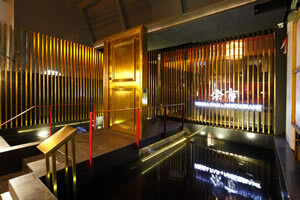 For more information, please visit http://www.jal.com/en/outline/. Follow JAL on Instagram at @japanairlines_jal. A restaurant with a homey atmosphere, suited to make our customers cozy and comfortable. The beef we use in our dishes are directly imported from Hokkaido(Ohira Farm). HOKKAIDO IZAKAYA serves high quality Hokkaido food with reasonable prices in casual atmosphere. Our lunch time featured dish is our Soba! Made fresh at our restaurant here in Tanjong Pagar using 100% Hokkaido soba powder, our Soba dishes is also cooked in Hokkaido’s unique style, so it’s different from anywhere else. Each individual serving of soba is only cooked after receiving an order for it, to guarantee the best level of freshness! For Dinner time, come feast upon our wide variety of specialties from Hokkaido, originating all the way from Yakumo town, Akkeshi town, Furano town, and Kamishihoro town.